Christmas is coming early at Bright Kids Nursery in Northfield! 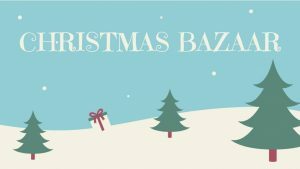 Staff and children are gearing up for the annual Christmas Bazaar, which will take place on Saturday 1st December, from 10am to 12pm, at the nursery on Norman Road. There will be plenty of Christmas cheer on hand, including refreshments and cake stalls, a bottle game, hook a duck, raffle, tombola, guess the staff child, art and craft stall, face painting and Mrs Christmas will be popping in to visit the children in her Grotto. Everyone is welcome, so please come along and join in the festivities!